The excellent Public Information label really comes into its own with this revelatory collection of early concréte tape music by F.C. 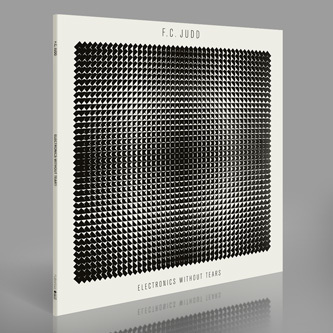 Judd - a much overlooked British electronic music pioneer and contemporary of Daphne Oram. Born in Woodford, East London in 1914, Frederick Charles Judd served in the RAF coastal command during WWII working with highly secret radar equipment. After being demobbed he applied this knowledge and skilled engineering background to his musical interests, and with the advent of tape recording techniques, he was drawn to experimenting with electronic music by the mid-'50s. By 1954 he'd published the first of his eleven books, containing circuit designs for radio controlled models, and by 1959 he was technical editor of Amateur Tape Recording magazine, leading to to his book 'Electronic Music and Musique Concréte' in 1961 and the creation of his F.C. Judd Sound Recording Co by 1963. In this role his music found a commercial outlet, issuing three EPs which would be collected on the library record 'Electronic Age' released by Studio G in 1970 (included here), and most notably provided the first all-electronic score to a whole series on British telly for ITV's sci-fi puppet show 'Space Patrol' (youtube it!). Fred created his music on a self-built system called Chromasonics, using cathode ray tubes to turn light into unique electronic sound, and effectively creating a functioning synthesizer over a year before the first Buchla, Moog and Synket models appeared. He continued to create music for film and TV throughout the '60s. But by the time of his last book on the topic 'Electronics In Music' in 1972, Fred was dismayed at the lack of interest and sceptical of much of the genre's early experiments. Eventually, he sold his equipment and joined the ranks of under-appreciated backroom experimenters who paved the way for electronic music as we know it today. 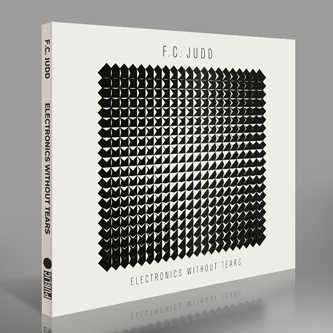 Thanks to Public Information, however, his music is now available for wider consumption, and there's a strongly compelling mixture of frothy, rhythmic and outstandingly dark and mysterious works strewn across the 35 pieces included on 'Electronics Without Tears'. Peering into the black hole of 'Mysterioso', drifting along the discordant arabesque 'Pseudocide' or on the way-ahead-of-his-time 'Broken Guitar' experiment, we can clearly hear an ingenious and intrepid mind at work, one which deserves the attention of anyone with even a passing interest in early electronics.